Pope's Grotto, in Radnor House School, will be open on the dates listed in Forthcoming Dates below, from 10 am to 12.30 pm, with last entrance at 12 pm. Tickets are untimed and you will be able explore the Grotto in your own time. Concessions for students and children are available. Please note that space in the Grotto is limited and you may be asked to wait at peak times. The school's café, with a terrace overlooking the river with views towards Twickenham and Teddington, will be open for refreshments (cash only). Books and postcards will be on sale. Some tickets may be available at the door on each day, but you are advised to book in advance to avoid disappointment. How can I get to the Grotto? 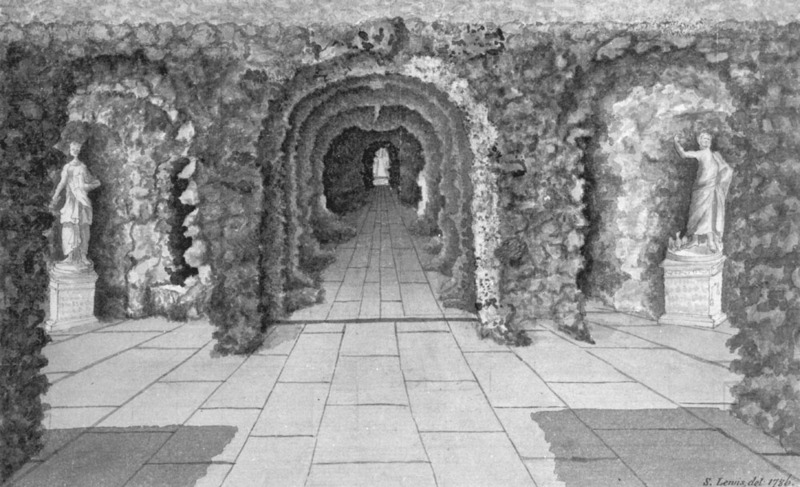 The Grotto is in Radnor House School and is reached by a staircase (unsuitable for disabled or infirm visitors). The school is on Cross Deep near the end of Pope's Grove and close to Radnor Gardens. Please use the entrance to the left of the building. Buses R68 and 33 from Richmond, Twickenham and Teddington pass the school - the closest bus stop is "Pope's Grotto"! The school is 15 minutes walk from Twickenham Station and 10 minutes from Strawberry Hill Station. There is limited free on-street parking in the surrounding area on Saturdays. We are sorry but we cannot accommodate dogs on Open Days.